Welcome to the March Pinterest Challenge Blog Hop. The purpose of this Pinterest Challenge is to motivate all the participants of this hop (and you too) to not just pin, but to make it happen! 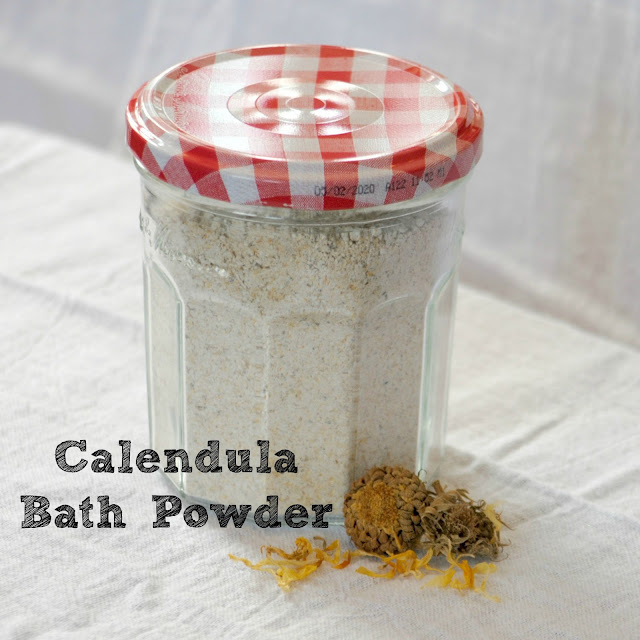 This month, I chose to make Orange Bath Powders from a lovely blog, Strangers & Pilgrims on Earth, then I went a little crazy and tried my own Calendula Bath Powder. For the Orange Bath Powder, I simply followed the recipe as I wasn't familiar with this type of bath time additive. The ingredients are oatmeal, backing soda and orange peel. That's it! I absolutely love the soft, natural orange color. Once finished, the fragrance was lovely, just clean and a little citrusy. Wanting the scent to pack more punch, two essential oils were added. A few drops of citrus fresh and one drop of rosemary. Adding a scoop to my bath water is such a treat and feels very soothing. Here they are side by side. Orange is on the left with Calendula on the right. My creative brain is buzzing with more ideas for this recipe! This sounds wonderful to use in a relaxing bath. I bet it smells great! Thank you so much for the spa recipe:) I will definitely be trying it. 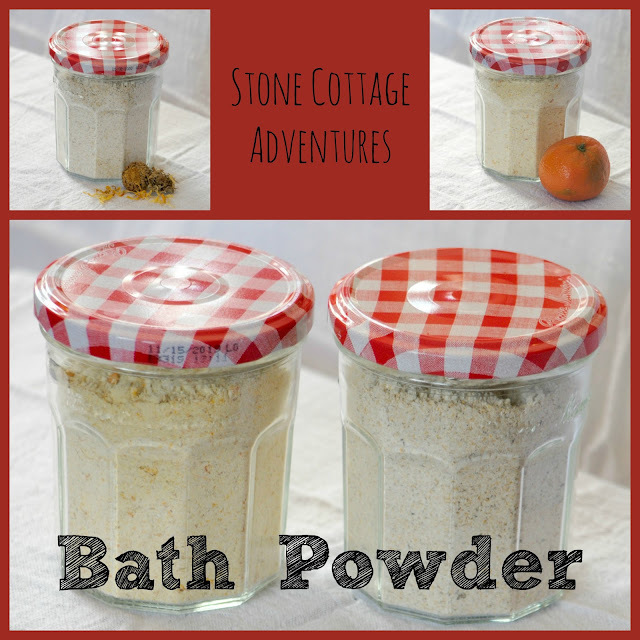 I love to find tricks to diy my own makeup and bath products. Great idea! I just love that it's made using such natural products! It sounds like it would smell delicious. Sounds like a soothing mix for relaxation and leisure enjoyment, Marci! It's always fun to make your own! Sounds like a heavenly way to soak! I wish we still had a tub. We removed ours to accommodate my mother in law. I may have to try this. I love adding essential oils to my bath, and these sound heavenly! I bet this orange bath powder feels amazing when its snowing outside. Like sitting in a cup of tea. This would make wonderful gifts. Pinning! 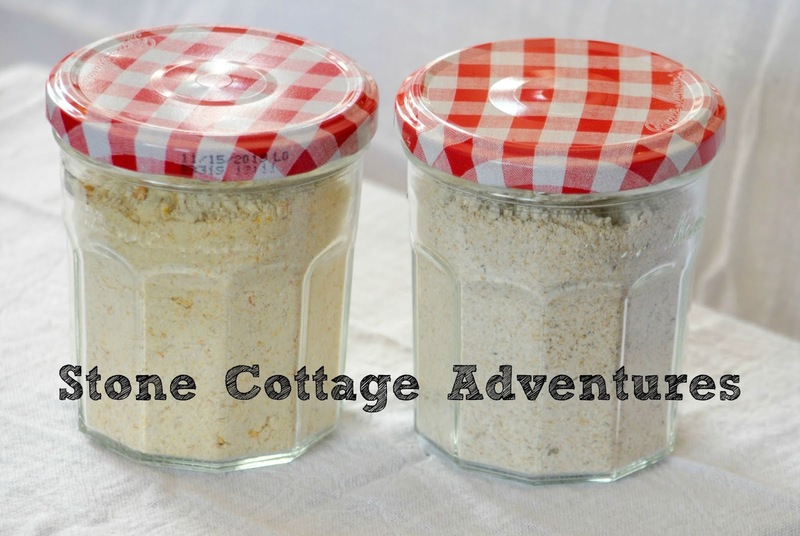 Marci, your bath powder in those jars looks a whole lot like my fridge oats I love having for breakfast, lol. Obvously one would need to pay good attention as to use which jar in which room. Orange is such a fresh scent, it would be so nice in bath powder. These would be so nice as easy DIY gifts. Sounds like a great gift idea. I bet this smells delicious - what a great scent for spring! Mother's Day is coming up and this would be such a nice gift. 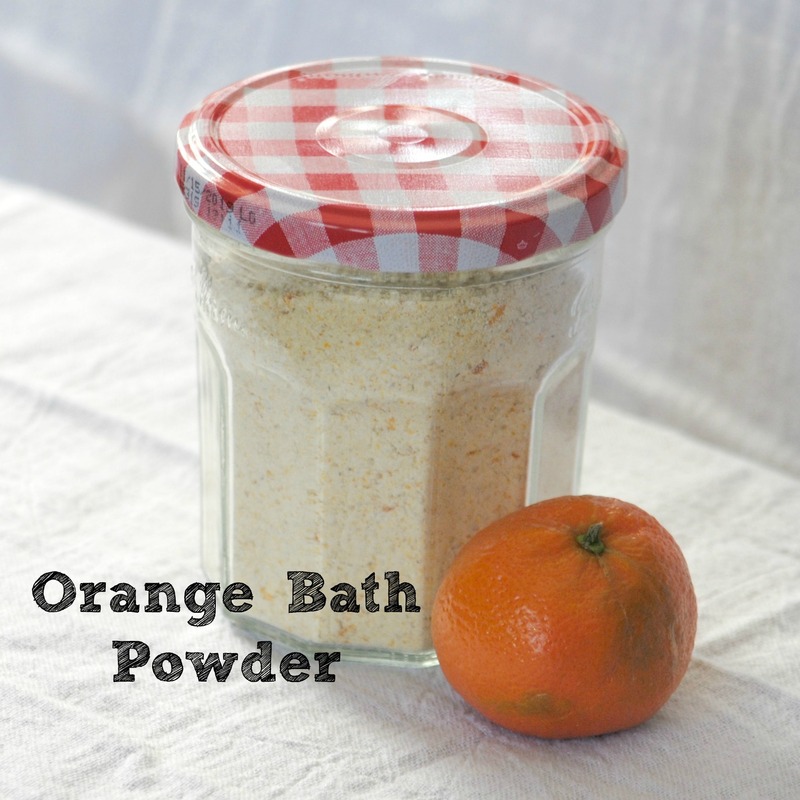 I just bought some orange essential oils and I may have to try this simple bath powder recipe.